The Chesapeake Bay Maritime Museum in St. Michaels, Md. 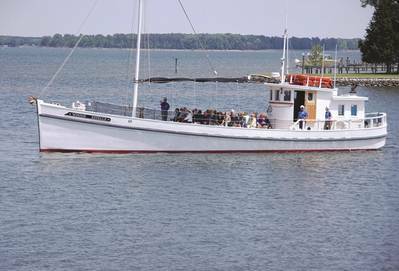 is offering a special cruise aboard the 1920 buyboat Winnie Estelle to watch the 8th annual Elf Classic Yacht Race, taking place on the Miles River in St. Michaels, Md. on Saturday, September 29, 2018. The annual race is sponsored by the Classic Yacht Restoration Guild and the Chesapeake Bay Maritime Museum. 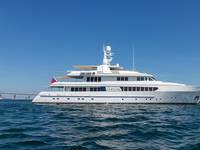 The Elf Classic Yacht Race spectator cruise will run from 9:30 a.m. to 11:30 a.m. so that passengers can view the beginning of the race. Participation is limited, with advanced registration needed. The September 29 race features a 19th century traditional yacht racing start, beginning with a captains meeting on land, followed by the boom of a cannon, signifying each captain’s mad dash to a tied-up dinghy, or tender. Next, the captains row out to their moored vessels and waiting crews, before tying up their tenders and raising anchor, with up to 30 yachts racing on the Miles River in a cloud of sail.